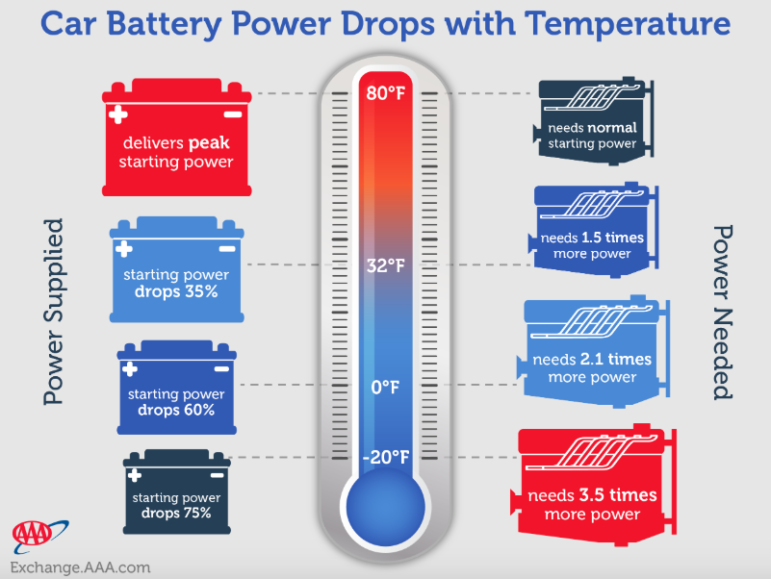 As the season’s third cold spell arrives, Southern New England’s forecasted frigid temps this week expect to test the hardiest of car batteries. — an announcement from AAA Northeast. Darienite.com added some infographics from the AAA website. 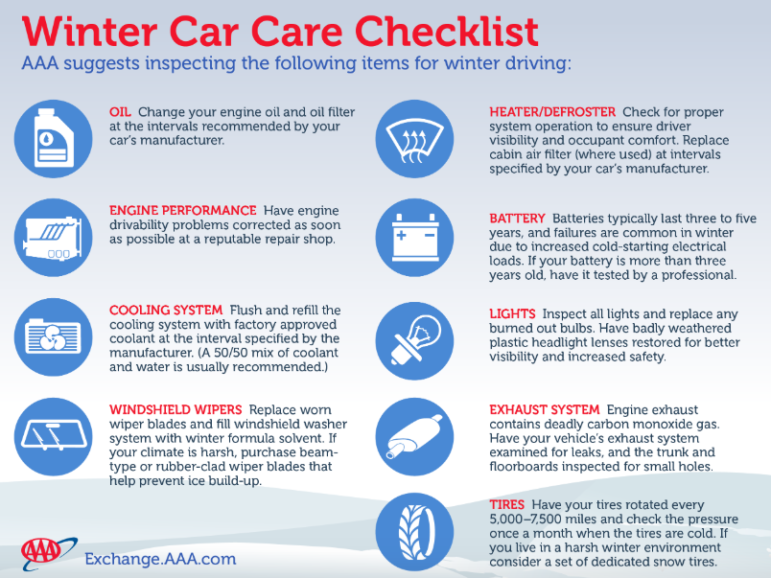 “We saw a significant spike in calls from members with battery problems during last week’s cold snap,” said AAA Northeast spokeswoman Fran Mayko in an announcement. “Be aware if your engine turns over with a jumpstart, you’ve only fixed the symptom not the problem,” Mayko said. The good news, however, is there’s still time to have your battery tested, and replaced, if necessary, she said. Check your tire pressure, make sure your windshield washer reservoir is filled; and if you’re overdue, have your oil changed, she added. 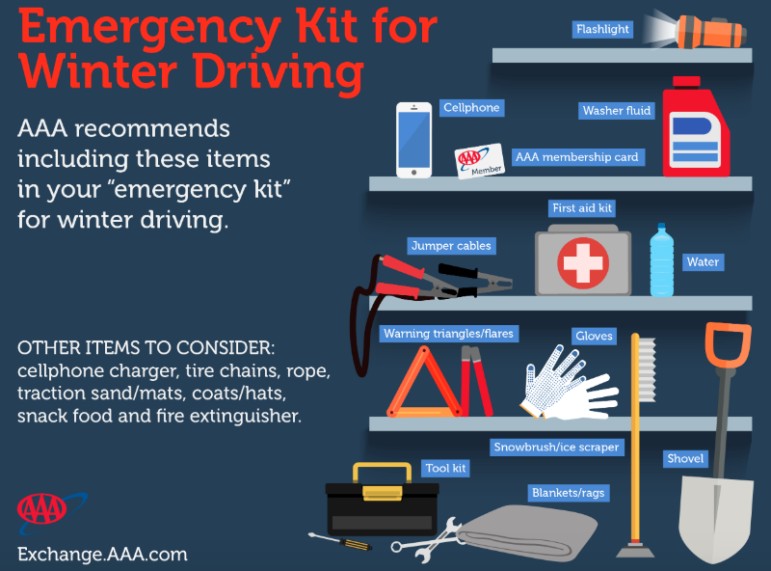 Your car emergency kit should include a cell phone car charger, blanket, jumper cables, and a flashlight with extra batteries. Alaska: The Final Frontier. The Land of the Midnight Sun.